Migrants decided to invade this farmer’s field and set up camp there, depriving the farmer of his living. He finally got fed up with it. That’s when he cranked up his tractor and sent them running. This shows just how serious things are getting over in Europe… and it’s only going to get worse. 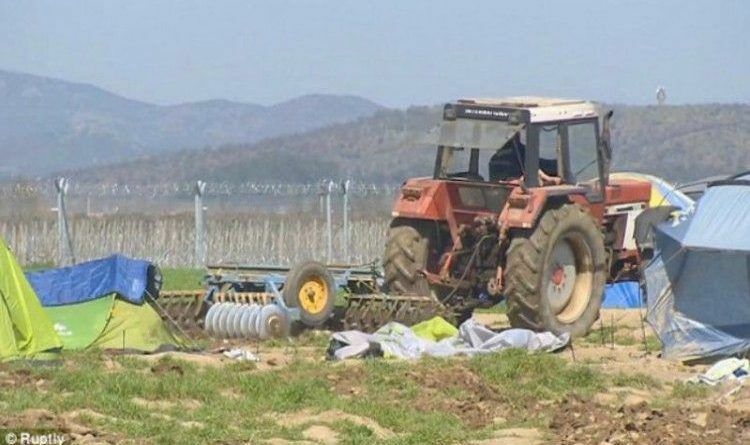 One refugee, who had his tent destroyed, was fed up with Oulis and didn’t understand why he had to plow the land while they were occupying his property. It’s worth noting that Oulis volunteered to a few acres to refugees, on the condition various help organizations would help him clear the property eventually. “Why drill now? There are still people here,” he said. Another refugee was more understanding of Oulis’ situation and agreed he had every right to do what he did. Police responded to the fields and told Oulis to stop because of the danger it could cause with children around. Oulis was furious when he spoke to reporters, but said he was understanding of the situation the refugees find themselves in. Oulis is now worried he will suffer financially, and that he won’t be able to feed his calves. That farmer is a hero, not a criminal.﻿SHARE THIS ARTICLE ON FACEBOOK AND TWITTER IF YOU AGREE!